Today I’m sharing an interview with best-selling authors, Richard and Linda Eyre. The Eyre’s have been married for almost 50 years and have raised 9 children. They have authored numerous books and spoken around the world to very diverse groups about families and parenting as well as balancing work and family with personal needs. Although they are seen as parenting experts, the Eyre’s were quick to point out in the interview they do not have a perfect family. Both Richard and Linda shared how they work hard to make family and communication a top priority. You’ll hear the Eyre’s answer to my personal question about how they keep their large family connected. They shared many great ideas including having a monthly family testimony meeting. They talked about how spiritual things can bind families together. In preparation for this interview, I read Richard’s newest book, The Happiness Paradox. The paradox Richard writes about is pursuing things we think will make us happy but which are actually making us unhappy. 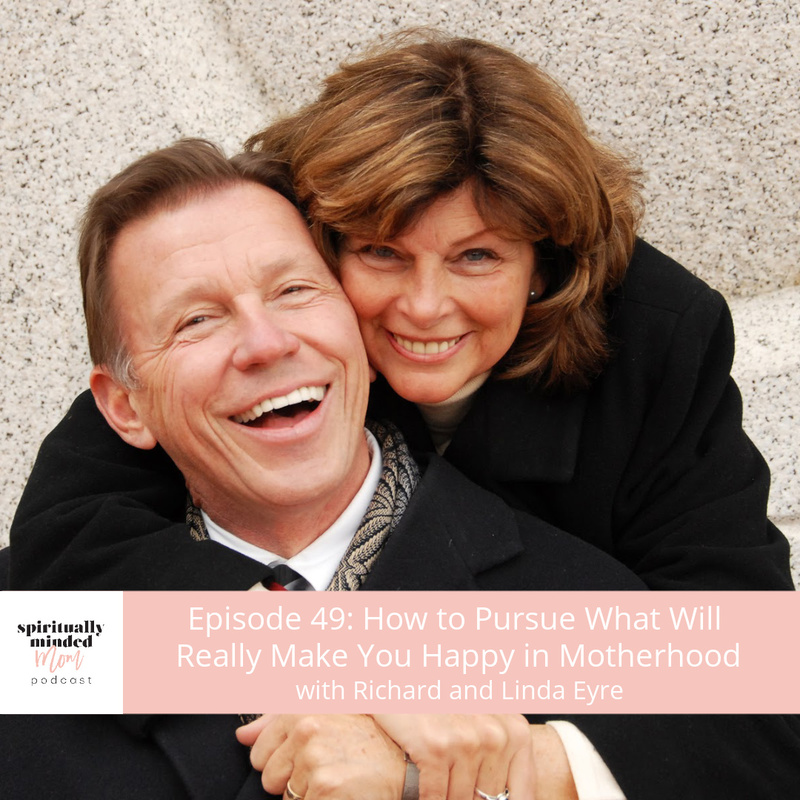 Both Richard and Linda discuss three false concepts that are “joy thieves” and how they relate to parenting. The interview is a great discussion of both the thieves and rescuers of joy. 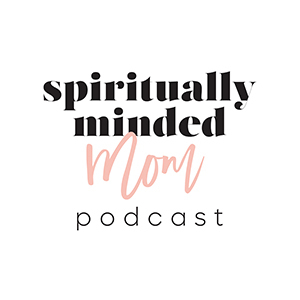 Both Linda and Richard share how all the concepts apply to motherhood, our relationship with God and the atonement of Jesus Christ. At the end, I asked the Eyre’s my usual final question about how they have seen and felt God as a partner in parenthood. They both gave answers that gave me new insights on my relationship with both my children and my heavenly parents. You’ll will want to listen to the end to hear this. And, you can purchase the book (plus others the Eyre’s have written) for 40% off plus free shipping by going HERE and entering “TrendlerFriend” as the access code. What does God expect from mothers and fathers? One of the reasons I know there’s a God is that I can see glimpses of divinity somewhere in the personality of each person I meet. This is especially true of my children. I have never met a little girl who can give a bigger, more heartfelt hug than Charlotte. I have never met someone with a more perfect balance of obedience and creativity than Madelyn. I have never met a 2 year old with more interest in construction equipment than Parker. The more I get to know someone — anyone — the more I am amazed at the totally unique gifts and attributes they possess. When it comes to being good mothers and fathers, I believe God wants us to really know each member of our family. We need to know what our children are good at and what they will struggle with. We also need to know ourselves — what are we really good at (and need to be sure to pass on to our children), and where do we struggle (and need to find other ways to make sure our children learn those values)? If you look closely, there’s a beautiful truth here: there are no perfect parents in the general sense, but with a little effort you can be the perfect parent for your child by getting to know his/her needs and interacting with them accordingly. Fortunately, God doesn’t show us everything we’re doing wrong all at once. If He did, we’d be overwhelmed to the point of giving up. Instead, he’s extremely patient with us and doesn’t show us our weakness until we’re ready to improve. In like manner, parents should strive to teach their children “line upon line.” Parents who are impatient with or overly critical of their children risk damaging their confidence & self esteem (younger children) and creating rebellion (older children). This is much easier said than done and we all fall short, but I believe God wants us to be extremely patient with our kids. 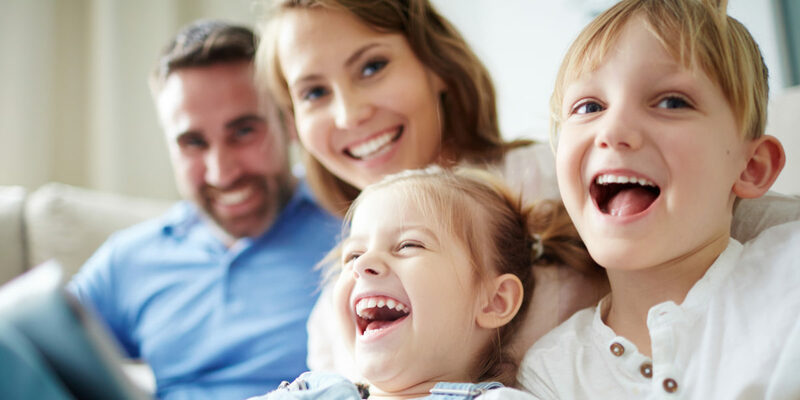 As a practical strategy for guiding children, my wife and I have found success using something Linda & Richard Eyre call the “5 facet review.” Basically, we dedicate one date night each month to reviewing each of our children spiritually, emotionally, physically, mentally and socially. As we conduct our review, we divide up “homework” assignments, such as “Parker is struggling with feeling loved. Your job is to do one thing with JUST him each week this month.” This helps us to focus on supporting and building our kids up one “brick” at a time. In a recent re-reading of the New Testament, I was struck by just how much service Christ did. He of course taught some powerful sermons along the way, but his life was literally full of service to others. I find this particularly interesting because Alma 7:13 points out “The Spirit knoweth all things; nevertheless the Son of God suffereth according to the flesh” In other words, Christ could have learned about everything we were going through via the Spirit, but he chose instead to “roll up his sleeves” so to speak and live among us in order to actually experience it. Likewise, parenting is a contact sport. It’s not about theories and thoughts. It’s not about ideas and instructions. It’s about literally getting in there and working with our kids to show them love and nurturing. It’s about late nights, early mornings, messes, kissing owies, shedding tears and sharing joys. I believe that God expects us to lead by example, modeling good behavior in all things for our children. I have learned that there are 5 levels of communication, ranging from level 1 (very topical — the weather, sports, news, etc.) to level 5, which is where we share our deepest and innermost feelings, hopes and fears. In my experience, too many of our family interactions happen at levels 1-3 and not enough happen at levels 4-5. We assume that our loved ones know how we feel about them, but we should never assume. We should tell them. When we hold back sharing feelings of vulnerability, we miss out on an opportunity to grow closer. It takes a lot of practice, especially for men who have often been socialized to keep their feelings to themselves, but the rewards are immense. One of my favorite times to express these kinds of feelings is during family prayer. When Christ prayed among the Nephites, they recorded that “no one can conceive of the joy which filled our souls at the time we heard him pray for us unto the Father.” (3 Nephi 17:17) In like manner, we can do a lot of good for our relationships by praying for our families aloud in their presence. Another great time for marital communication is during what my wife and I call our “weekly tactical.” Each Sunday night, we sit down to discuss the general state of our family, our marriage, our involvement in the community and our week ahead. During this process, we make specific plans to help move us towards our goals. Mosiah 27:27 teaches “it is not requisite that a man should run faster than he has strength.” Leading our families is a marathon, not a sprint, and in a marathon it’s essential to pace yourself and seek appropriate sources of fuel. As I study the life of the Savior, I notice that he frequently took little breaks to meditate and be with his father. I believe this is what he meant when he said “He that abideth in me, and I in him, the same bringeth forth much fruit.” (John 15:5) When we seek to maintain our spiritual health, we plug ourselves into the very power that will sustain us through the monumental effort of leading our families. I have found too though that it isn’t just about spiritual learning. Parenting books, seminars and even just good conversations with our spouse or role model can inspire us and give us the strength to carry on. We need to not be too hard about ourselves when we make mistakes. Learning to be good parents is part of the process for us, too, and God is in control of the outcomes. As a parent, it’s really easy to give in to the temptation to believe that I have to do it all myself. “If I don’t raise these kids right, who will? If I mess them up, it will be totally my fault.” This kind of thinking can be discouraging, but it’s simply not true. Yes, God gave us these kids to raise, but he doesn’t expect us to do entirely it by ourselves. For me, an essential part of leading our families in the Lord’s way is to learn which part of the parenting job is ours and which part is the Lord’s. One of my favorite parenting scriptures is found in Moses 1:39, which reads “For behold, this is my work and my glory—to bring to pass the immortality and eternal life of man.” In this scripture, we learn that God is full-time, completely consumed in raising His children. It’s not a side project. It’s not something he throws in after a long day of creating galaxies. It’s literally the entire object of his efforts, and he’s extremely good at it. So the next time you feel inadequate as a parent, just remember that the ruler of the Universe — the same guy who created the solar system and parted the red sea — is on your side. What are the faults & flaws that I am ignoring in myself that will hurt my ability to lead by example? What strengths do I have that I need to be sure to pass on to my family? Do I truly know each family member? How can I get to know them better? How can I adjust my behavior according to their needs? How can I discipline my children in a way that maximizes the likelihood of that discipline being received? What things will the future version of me thank the present version of me for having done with regard to my family? Do I take time for myself to meditate, pray, learn and develop as a family leader? Am I sharing the responsibility of leading a family with God? Am I trying to do it all myself, or on the other extreme, am I dumping it all on him? Do I fully trust Him to do the part that corresponds to Him? I believe that leading our families is one of the most important things we’ll ever do. Families are of utmost importance in God’s plan for his children. I believe we’re doing better than we think we’re doing, but if we’ve failed to lead our families the way we should have in the past, then let’s start today. It’s never too late for the Atonement of Christ to have effect in our lives. The Spirit will guide us to success if we seek it.